All of the activities of the Tobacco Free Partnership of Highlands County are a matter of public record. As such, all materials of the public meetings of the Tobacco Free Partnership are accessible through this web site. The Tobacco Free Partnership of Highlands County is an independant organization, governed by a general set of Bylaws. The Bylaws for the current fiscal year are available by clicking here. To obtain a copy of the agenda for the next upcoming meeting of the Tobacco Free Partnership of Highlands County, contact the Partnership facilitator at info@TFP-Highlands.org. 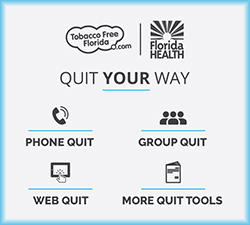 The minutes from the meetings of the Tobacco Free Partnership of Highlands County will be made available here as they become available.